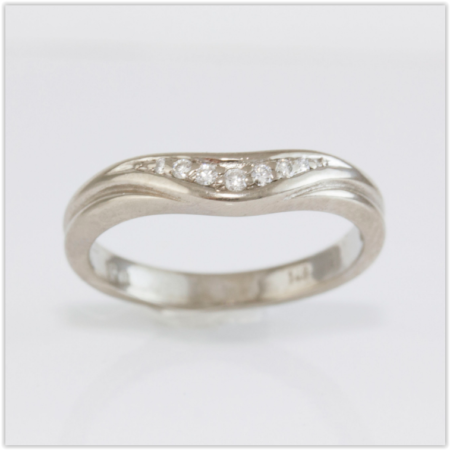 18k White Gold Wedding Ring with a lip running along the side. 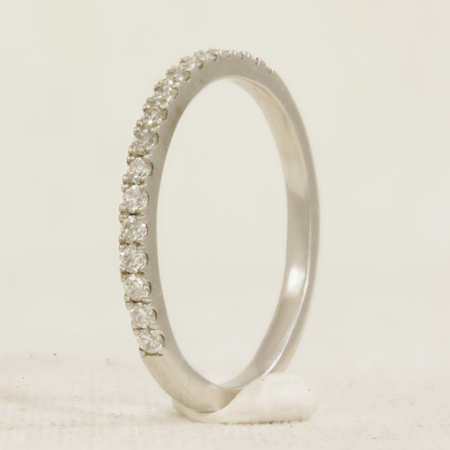 The lip is added to the side with a small piece cut out. 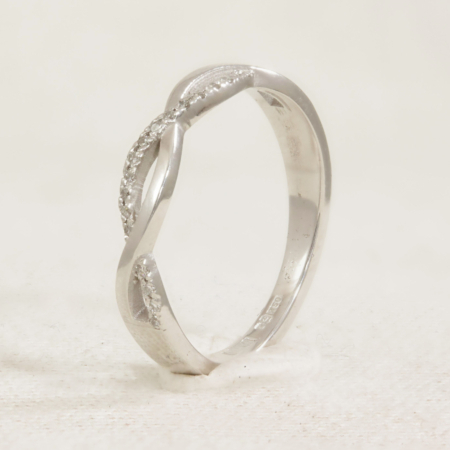 This is designed to sit against an engagement ring with a curved basket. 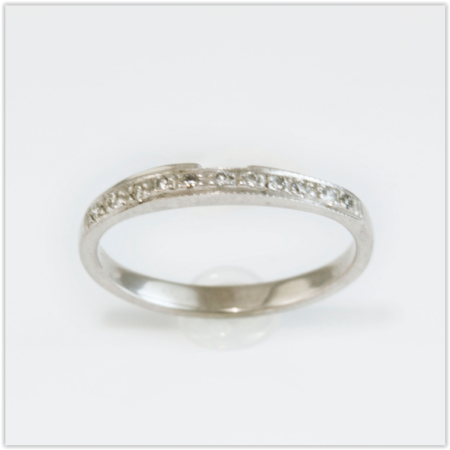 The lip will help to create some distance between the wedding and engagement ring to avoid the two rubbing against each other and damaging your engagement ring. 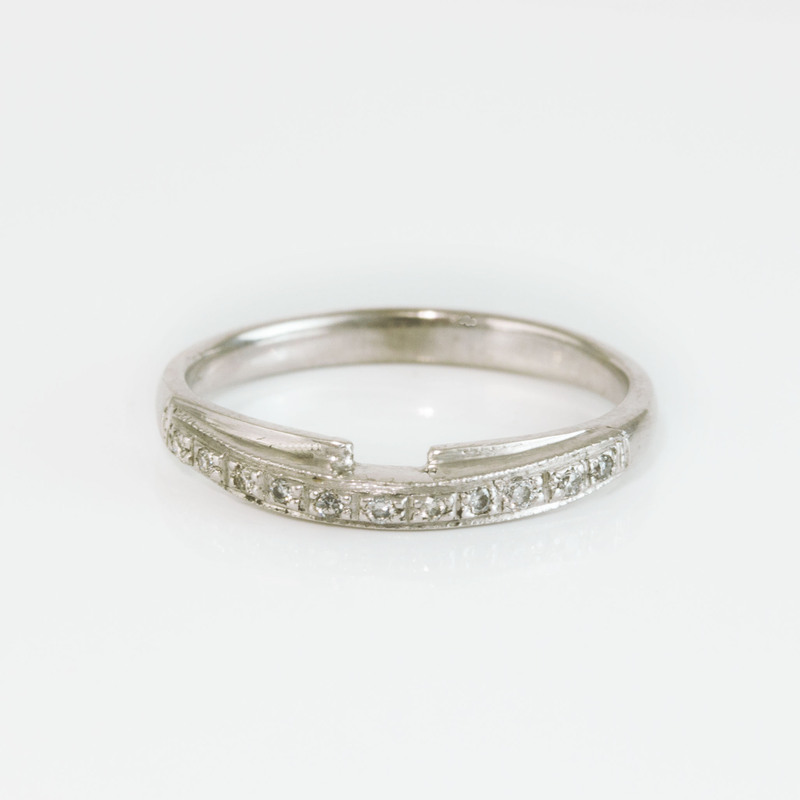 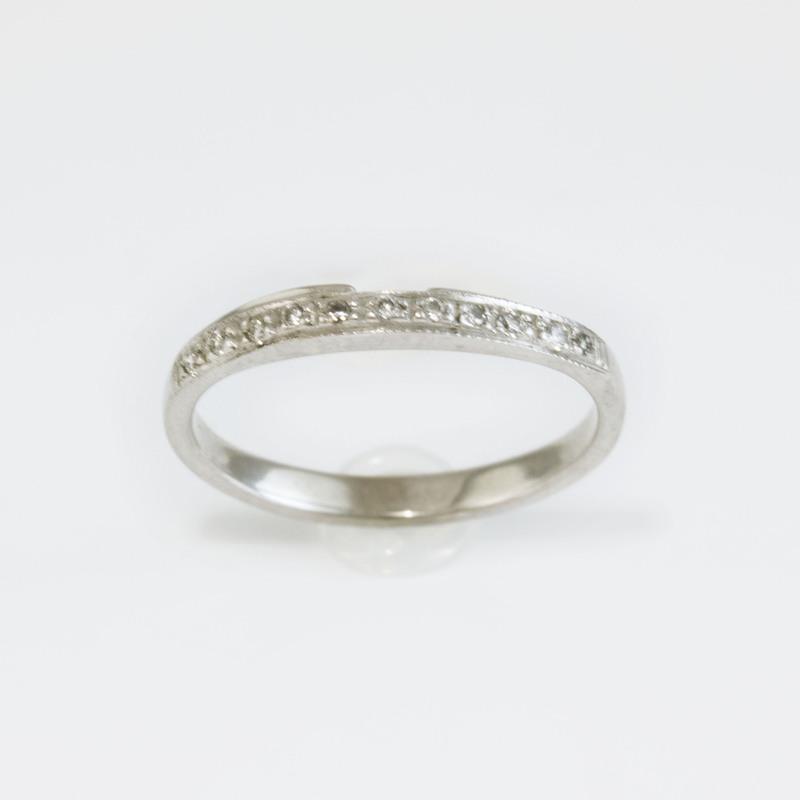 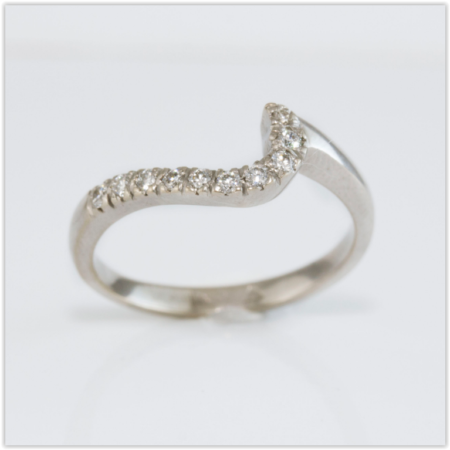 Fitted Wedding or Eternity Ring.